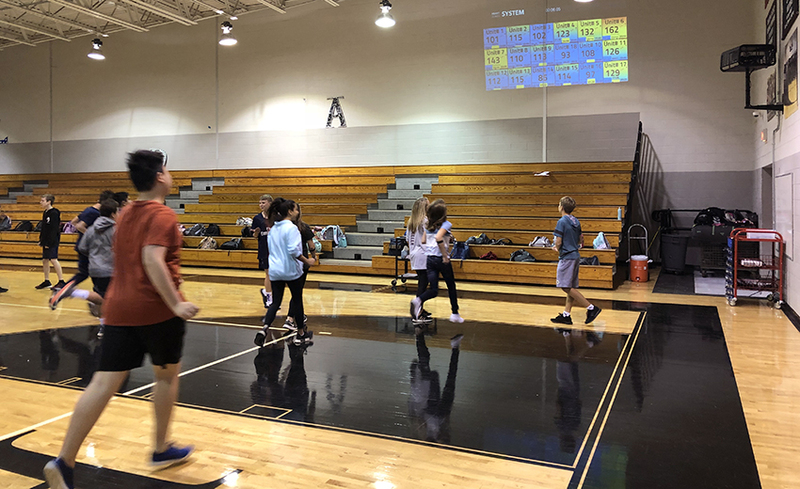 Needs assessments can be a valuable tool to identify, understand and address health conditions that affect academic performance. 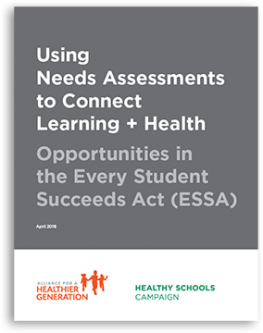 Healthy Schools Campaign and Alliance for a Healthier Generation are pleased to release Using Needs Assessments to Connect Learning + Health: Opportunities in the Every Student Succeeds Act (ESSA). 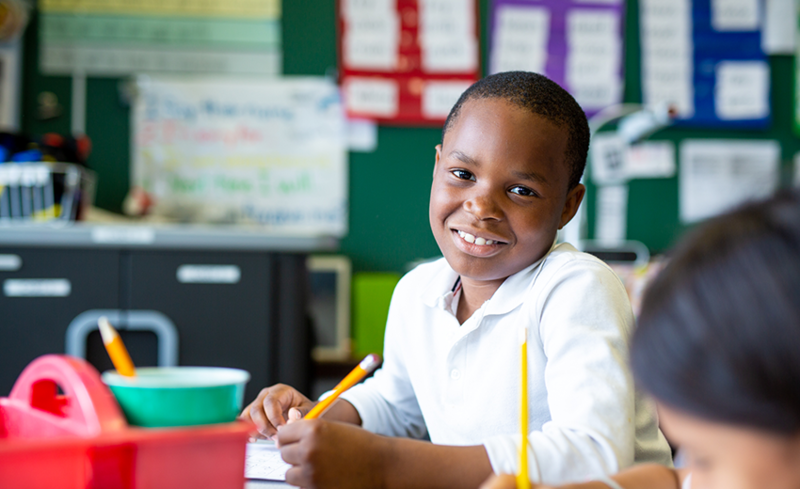 This guide highlights the ways that school needs assessments, such as those required by ESSA, can be a valuable tool in identifying, understanding and addressing health conditions that contribute to poor academic performance and chronic absenteeism. The guide includes important background information, data sources, and sample health and wellness questions that can be included in needs assessments. It provides child advocates, community leaders, school personnel and other key stakeholder groups with the information and tools that they need to convince their state and local education leaders to make health and wellness a significant component of the needs assessment and school improvement process. If you are looking for more general background on ESSA, and the opportunities it presents for states to support learning and health, check out State ESSA Plans to Support Student Health and Wellness: A Framework for Action. To stay up to date on ESSA, and the opportunities it presents to support student health and wellness, sign up for regular email updates. 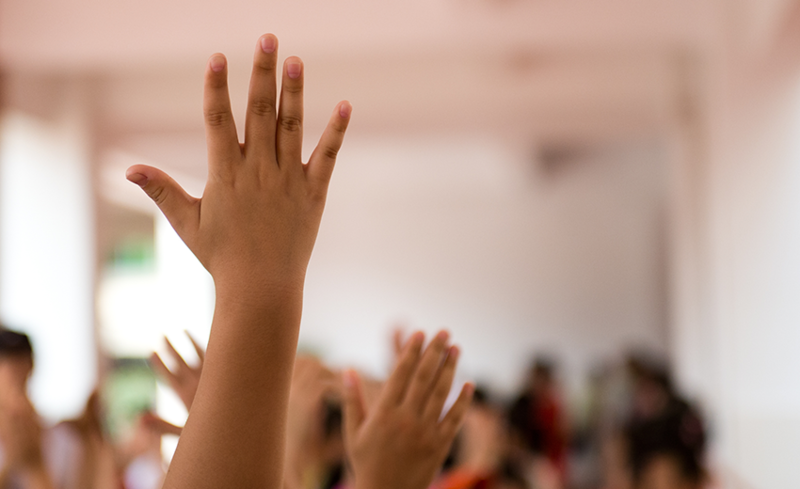 Healthy Schools Campaign and Alliance for a Healthier Generation hosted this important webinar about the ESSA needs assessment requirements and how you can work with states and school districts to include health and wellness in this work. This webinar also highlights how Tennessee is integrating health into their ESSA needs assessments to support student success.